Reviewed by: Dale L. Skran, Jr. If you can read only one book to become informed about the status of and prospects for interstellar travel, Starship Century is an excellent choice. 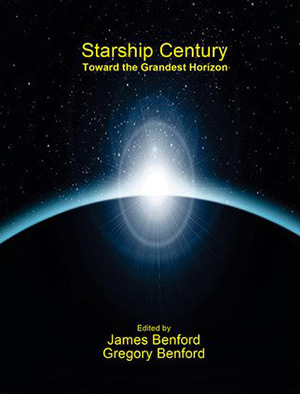 Based on 2011’s “100 Year Starship Symposium,” this book skillfully combines science fact articles with science fiction stories to provide a solid review of this growing field. The book is divided into five sections. “The Big Perspective” contains essays by such notables as Stephen Hawking and Freeman Dyson. Hawking’s short essay, “Our Only Chance,” makes the fundamental case for interstellar settlement: survival. Meanwhile, Dyson’s vaulting imagination and scientific insight suggest a radical method for spreading life into the dark using “Noah’s Ark Eggs and Viviparious Plants.” Additional essays by Martin Res and Peter Schwartz round out the chapter. Schwartz, a professional consultant and futurist, provides an interesting look at possible future scenarios with the conclusion that interstellar travel will likely be part of many of them, but for radically different reasons in each. 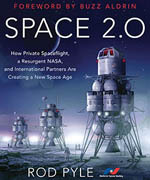 Allen Steele concludes the section with a science fiction story, “Cathedrals,” notable in its inclusion of the 2011 Starship Symposium in the thread of the story. 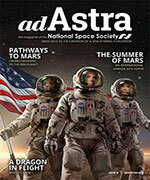 The second section, “Pathways to the Stars,” is a bit heavier on the science fiction. Neal Stephenson offers “Atmosphaera Incognito,” detailing the building of a tower to space with the detail of an Analog magazine. Nancy Kress explores the difficulties of maintaining a balanced ecology off-Earth in the gripping and well thought out “Knotweed & Gardenias.” Gregory Benford concludes the science fiction in this section with “The Man Who Sold the Stars,” an homage to Heinlein’s “The Man Who Sold the Moon.” Bob Zubrin supplies an analysis of the economics of mining Helium-three in “On the Way to Starflight: The Economics of Interstellar Breakout.” Geoffrey Landis reviews nuclear rocket technology in “The Nuclear Rocket: Workhouse of the Solar System.” This table of contents listing exemplifies the most significant flaw in Starship Century—an excessive number of typos in rather obvious locations. You will be relieved to find that the nuclear rockets Landis writes about are going to be, in fact, the “Workhorses” of the Solar System. Section three, “Building Starships,” contains an excellent survey of past starship designs in “Starship Pioneers” by Adam Crowl, and an equally excellent review of solar sailing “Sailships” by James Benford. The section concludes with Richard A. Lovett’s science fiction tale, “Living Large,” a lively review of the technology needed to make a closed cycle ecology work. The story is told as an interview given by a man about to leave on a one way trip to the stars. Starship Century concludes with a good background section stuffed with bios, lists of organizations promoting interstellar flight, and books for further reading. Dale L. Skran, Jr., is Chair of the NSS Policy Committee. © 2014 Dale L. Skran, Jr.